EasyMerchant offers a full range of pipe and fittings that conform to WIS 4-32-11. They are adaptable for fitment to Polyethylene, Lead, Copper, Pvc and Galvanised Iron. If the pipes are installed within protective ducts black MDPE / HPPE is used for over ground services and for non potable water service connections between the distribution mains. It should not be used for the conveyance of gases, petrol, oil, diesel or compressed air. The system is acceptable for use with cold water (maximum temperature 20C) with a working pressure of up to 10 bar. 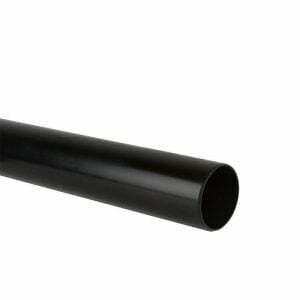 Black MDPE pipe can also be known as pipe, PE pipe, black water pipe, non pottable pipe or black alkathene pipe. 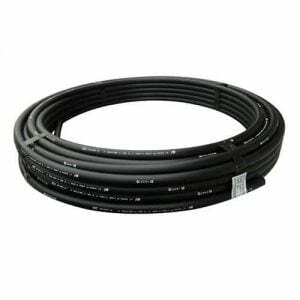 EasyMerchant keep considerable amounts of black MDPE pipe in stock which is available for immediate delivery! Black MDPE pipe is suitable for non pottable mains water, drainage and sewerage applications and can be used in above ground installations. It could be used below ground, but please check with your water authority. MDPE Black Water PIpe is used to provide premises that aren’t constructed on domestic properties and brownfield sites with water. Although this varies depending upon site circumstances the size for use is 25mm. Black Water Pipe is used for supplying non potable (water not fit for drinking) for irrigation, industrial and treated sewage outflow functions. It uses the exact fittings as standard pipe. 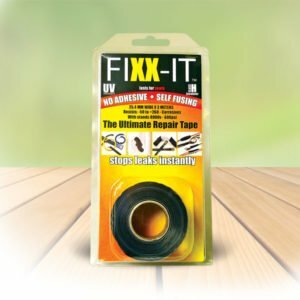 Not susceptible to rust rot, corrosion or loss of wall thickness. Complies to water standards ISO 4427:2007, BS EN 15494:2003 and BS 6572:1985.